Mackinac Island horses set the stage for a quaint old-fashioned vacation. Mackinac Island horses provide all transportation on Mackinac Island, MI. Many years ago, the Village Council and later the Mackinac Island State Park Commission prohibited the operation of any motor vehicles other than a few for public works and emergencies. So it is no wonder that on Mackinac Island, Horse is King! There are over 600 horses that make the Island their home in the summer and about thirty draft horses in the winter. Only residents or local businesses are allowed to bring horses to the Island. 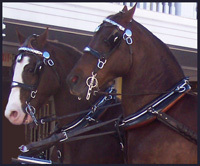 Most tourists experience Mackinac Island horses by taking a carriage tour or a taxi ride. 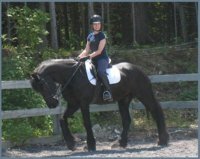 For the more adventurous, renting a horse and buggy to drive yourself or a saddle horse for a trail ride is a great choice. The trails are many and range in difficulty offering something for everyone. 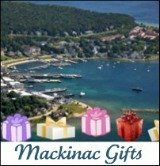 Mackinac Island Carriage Tours are a great way to get an overview of the Island. You can take a private tour or a group tour. These tours are pet friendly so don't stay away if Fido is traveling with you! 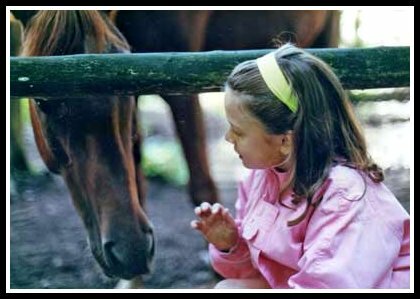 The rental stables have Mackinac Island horses for all skill levels. Beginners are most comfortable on trail rides with a guide but the seasoned pro may like to venture out alone. The staff will explain all the do's and don’ts of riding safety and etiquette. Helmets are very important for your protection and they are available at the stables. Contact the stables with your questions. Marcia's daughter, Libby, loved taking lessons and is pictured here riding Michelle Stuck's horse, Lars. 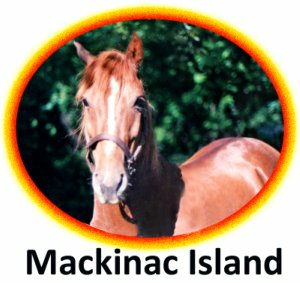 Many year-round residents and summer cottagers have their own horses and belong to the Mackinac Horseman’s Association. This Association sponsors many activities including riding lessons, an annual Horse Show, a Labor Day group ride and the Festival of the Horse. Mackinac Island Horses are celebrated. The Island celebrates with the annual Festival of the Horse in August. 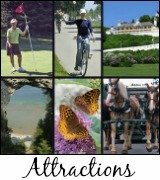 See why Mackinac Island knows that “Horse is King!” There will be stable tours, antique carriage displays, demonstrations of riding, jumping and driving, parades and much more. It is an event dedicated to entertain and educate. Insider Tip: Horses are beautiful and usually very friendly, but remember that they are huge animals that can be startled. Pay attention to street traffic and always let the horse have the right of way. Do not pet any horse without asking the driver first. Thanks to photographer, Cally Matherly, for the photo on the left. 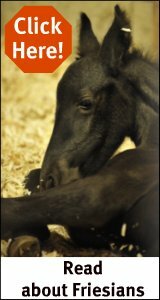 Visit our store for a great selection of horse related gifts! Cute plastic horses will provide hours of playtime!